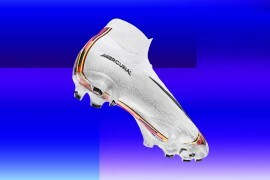 It's one thing to release a football boot that claims it will make a tangible difference to your game, it's quite another to say that everyone who has tried to make something similar before – including yourself – has been doing it wrong. So, for Puma to to both of the above is either very brave, or downright crazy. 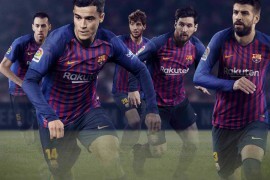 It's a good job for Puma, then, that the all new evoPOWER is so packed full of features and technology, it certainly makes a compelling case. Puma's theory is a fresh take on something we've heard time and time before – the theory that the greater the surface area making contact with the ball, the more power is transferred into your strike. This school of though has informed everything from Predator-esque strikezones, to side-offset lacing, but Puma are boldly staking a claim that the bare foot already does this better than any boot. The freedom of movement allows the foot to open up„more, allowing more of the foot to make contact with ball – and everything you see here on the Puma evoPOWER is designed to transfer that ability into a football boot. 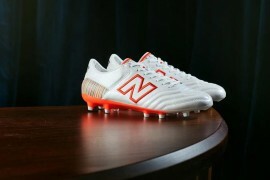 Normally, we look at the upper and soleplate separately, however the evoPOWER poses that we look at both as a symbiotic unit, with both working as one. The idea being, the when the foot points downwards when striking, the upper stretches with it – bringing us to the evoPOWERs„other party trick. Puma have developed the Gradual Stability Frame – or GSF if you're into acronyms. Working like the human spine, the GSF allows the boot to be rolled up towards the toes for freedom of movement. But push it downwards -and pay attention here -' and the soleplate under the toe also flexes, allowing the whole boot to move with the foot to make the same contact with the ball as a bare foot might. However, as the GSF graduates towards the mid foot and heel, it locks up in the same way as a real spine does at the base, allowing superb power transfer and stability in every drive towards goal. 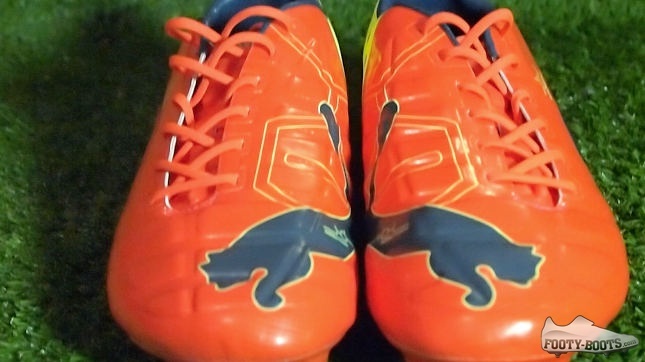 Just to give you an idea of the attention to detail PUMA have put in to the evoPOWER, they've developed a super-soft heel that supports the achilles like any other boot, but compresses under the lightest of downward pressure to allow the foot to open up as Puma have intended. 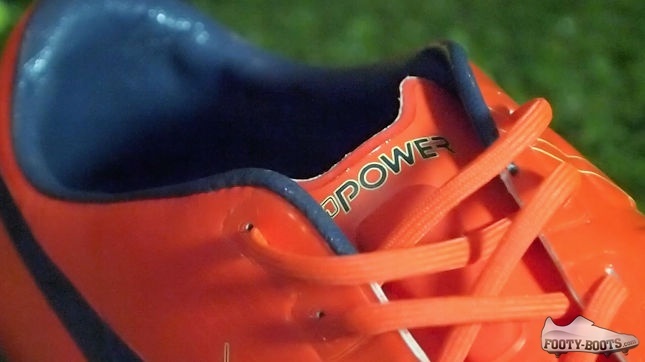 It speaks volumes about the amount of features the evoPOWER has under the hood that we're only just getting to it's most noticeable feature; fear not, the boot isn't in better shape than you are – the six-pack-like raised area houses the Puma Accufoam. The idea behind the accufoam is simple – whilst the angle the foot strikes the ball is great, the surface of the foot is not – the Accufoam is a super-soft memory foam that compresses when the foot strikes the ball, creating a flatter, more uniform surface when catching the ball with that part of the foot. As well as the GSF on the outsole, you can also find a traction system that utilises both conical and bladed studs, with the forefoot conical studs allowing freedom of movement and rotation under the toes, whilst the mid foot and heel turn to bladed studs for where stability is needed most. 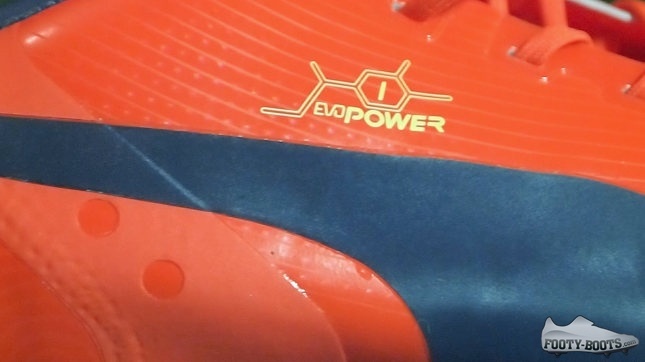 That’s our initial impressions on all the tech on show on the Puma evoPOWER, to see how it performs, keep your eyes peeled for the review on Footy-Boots.com in the coming weeks.